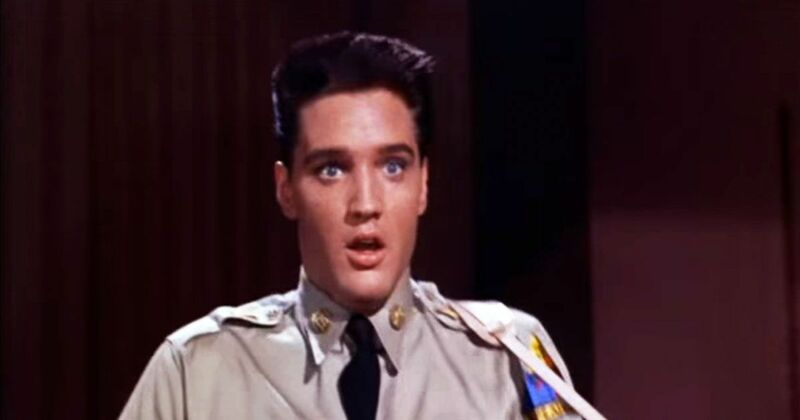 They say it's hard to resist a man in uniform, so what did Elvis Presley have to lose? In this performance from the 1960 film "G.I. Blues," the King of Rock-and-Roll performs the song "Shoppin' Around" in a nightclub, as his character Spec. Tulsa McLean. McLean is drawn to the stage when one of his commanding officers has him called up to impress a certain young lady. "As for the actual performances, well not only does Elvis look good in his G.I. uniform he also looks very comfortable performing," according to the film site, "The Movie Scene". "Being only his fifth movie that look of disenchantment hadn't begun to affect Elvis's performance and you can see the enthusiasm he had for acting." While this film may not rank as the most popular of Presley's film titles it does have a unique story. Production began on the film while Elvis completed his service in the U.S. Army. While those working on the team visited the singer in Germany to discuss scripts and shoot some preliminary scenes. The singer/actor did not shoot any scenes until after his military commitment concluded. The timing of his recent active duty may explain how Presley wears the uniform so well. What do you think?